Here’s a look at what’s coming out from Marvel for October 2015. A full list of solicitations is available here. In the aftermath of Secret Wars comes the “All-New, All-Different Marvel”…which means more of the same: rebooting their various books with new #1s. This time, however, they seem to be follow-ups to the events of “Secret Wars”/Battleworld, making for some probably-confusing-to-newcomers (or even long-timers) reading. Thus the selections above, which seem either mostly crossover-free or presumably will explain what’s going on. Marvel’s also giving a new line of all-ages books, including a few based on their TV cartoons. “Marvel Super Hero Spectacular” and “Marvel Universe Guardians of the Galaxy” are a few of these new books. No sign of the new book promised for Miles Morales that I see, unless I missed something. “Amazing” is getting yet another #1, however, with Peter now a globe-trotter. 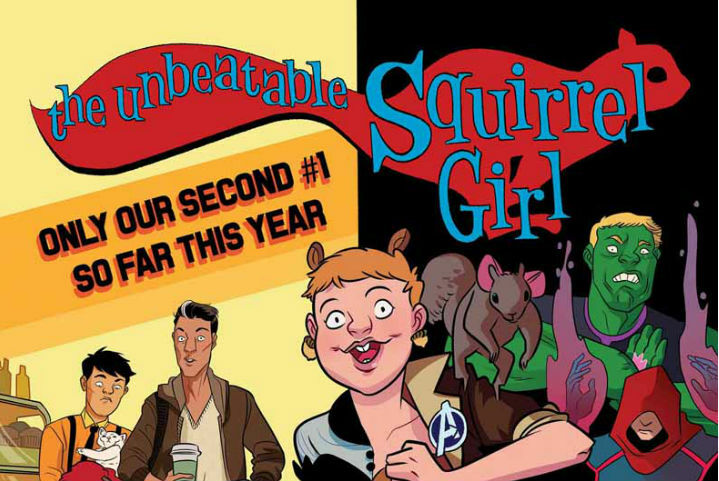 As the cover of “Squirrel Girl” sarcastically notes, this is its second #1 issue within a year… which shows how over-reliant Marvel’s become on first issues for a sales boost.